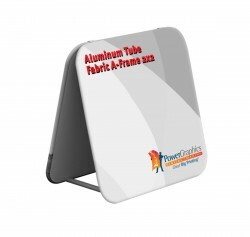 Aluminum Tube Fabric A-Frames are a sturdier version of our popular Pop Up A-Frames. 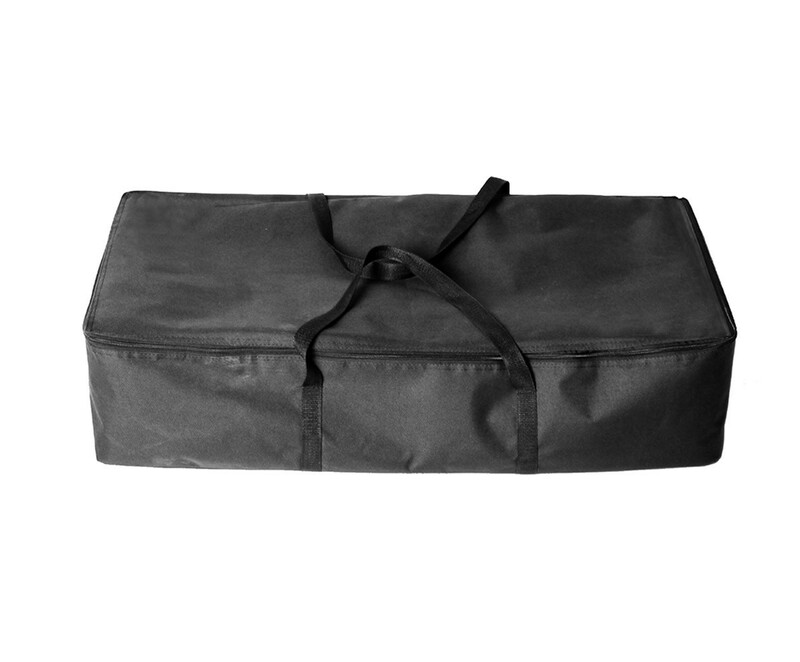 The Aluminum Tube Fabric A-Frame 2x2 comes with a travel bag and holds graphics with a 24" x 24" image area. 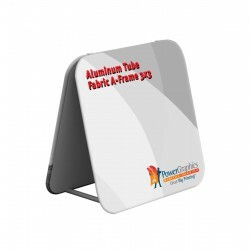 Aluminum Tube Fabric A-Frames are a sturdier version of our popular Pop Up A-Frames. Instead of having a frame of fiberglass rods that the fabric graphics are permanently attached to, the Aluminum Tube Fabric A-Frames use zippered pillowcase fabric graphics that can be attached and removed as needed. This makes them extremely versatile as they can be made single or double sided, and graphics can be changed as necessary for different messaging, or replaced when they become worn or outdated. Since the frame can be reused, this can be more economical over time. 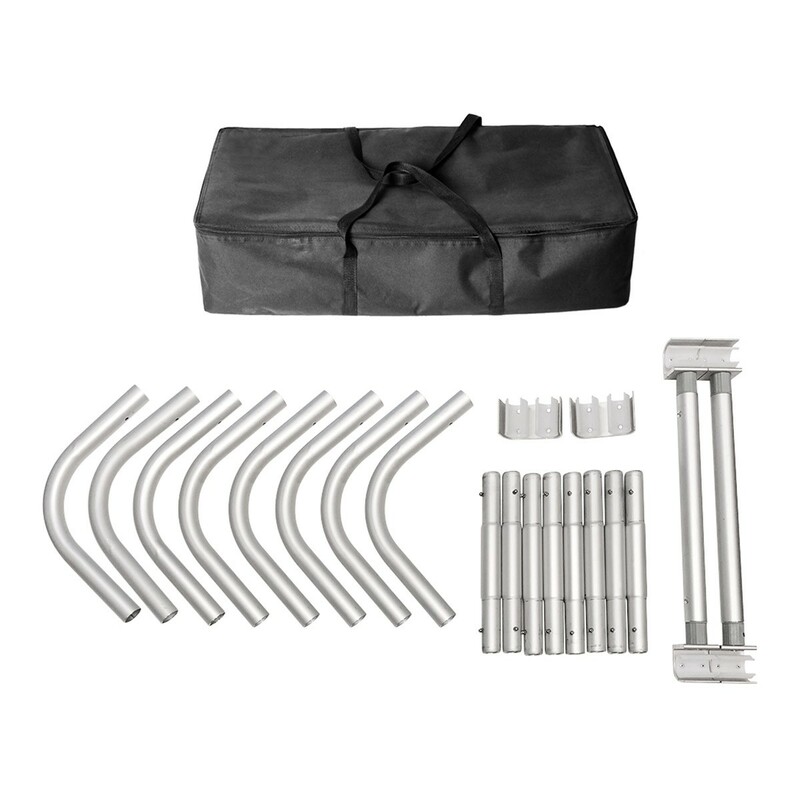 The aluminum frame takes a few minutes to put together, where the Pop Up A-Frame gets it's name because it just pops up into shape when you unfold it. 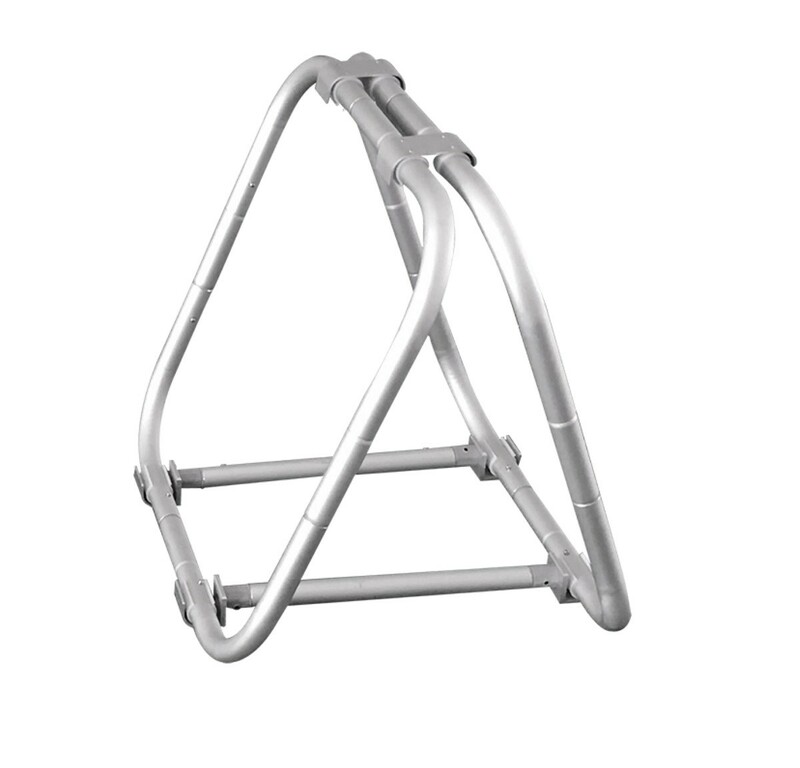 But, it's very simple and doesn't require any tools, and the resulting frame is more sturdy and stable. Since the frame isn't flexible, it's not recommended for use where sports competitors could land on them, but in all other places these displays are a great alternative to the Pop Up style. Uses include golf course driving ranges and tee boxes, event way finding and directional signs, trade shows, fairs, concerts and store front advertising. 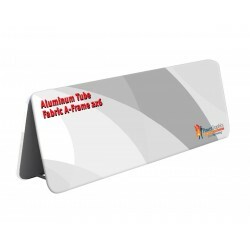 Aluminum Tube Fabric A-Frames are frequently used outdoors as the aluminum frame and dye sublimated fabric graphics won't be harmed by moisture, so they are great in any weather. 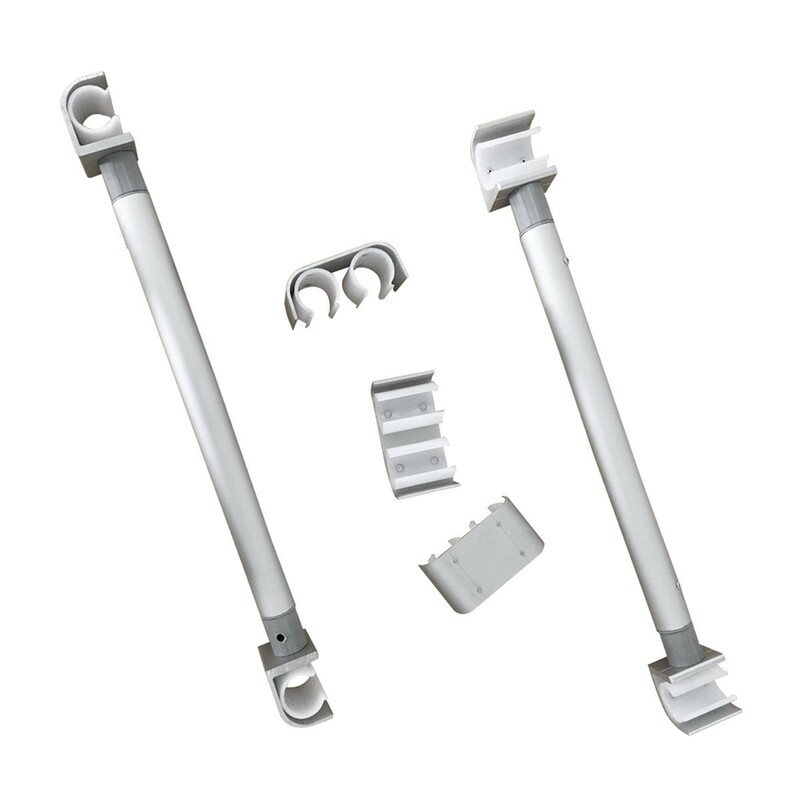 When used in windy weather, sand bags or other types of weight can be used on the bottom cross bars to keep them in place, but since they're heavier and more stable than the pop up style, these won't be needed in most cases. In addition to outdoor uses, they are also popular for use indoors at trade shows and events where they can be placed to direct foot traffic or display marketing messages close to the target audience. 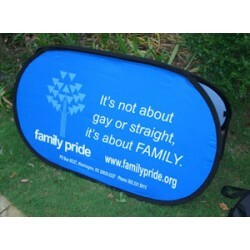 These fabric displays come in 2' x 2', 2' x 6', 3' x 3' and 3' x 6' sizes. They are printed using the dye sublimation process, so the colors are vibrant and become part of the fabric itself so that the image cannot be scratched or washed off. In fact, if the graphics get dirty, you can simply hose them off with water or machine wash them using a gentle cycle and install them on the frame to dry before storing. 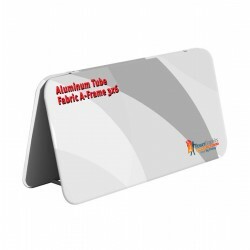 Aluminum Tube Fabric A-Frames are custom printed with your design and can have the same design on each side, each side can have a different image, or you can just do a graphic on one side for situations where the back side won't be visible. The Aluminum Tube Fabric A-Frame 2x2 comes with a travel bag and holds graphics with a 24" x 24" image area. Shipping size: 32" x 8" x 7"